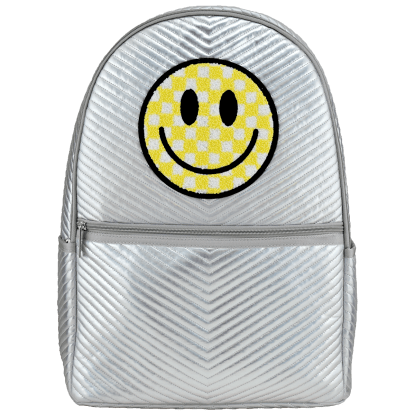 Pack up all your stuff and get ready for the happiest weekend ever! 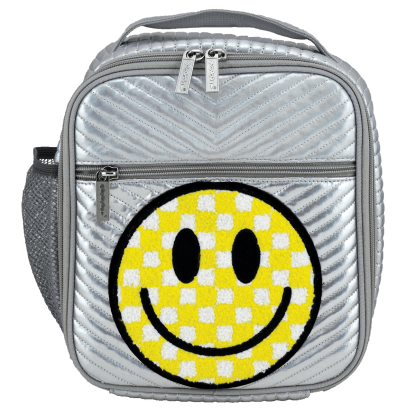 Our checkered smiley face chevron weekender bag brings a colorful burst of joy anywhere you go. 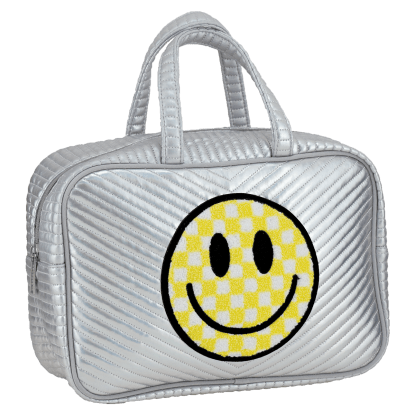 Nice and roomy, this silver metallic bag features a fuzzy chenille smiley face patch and an adjustable, removable shoulder strap. 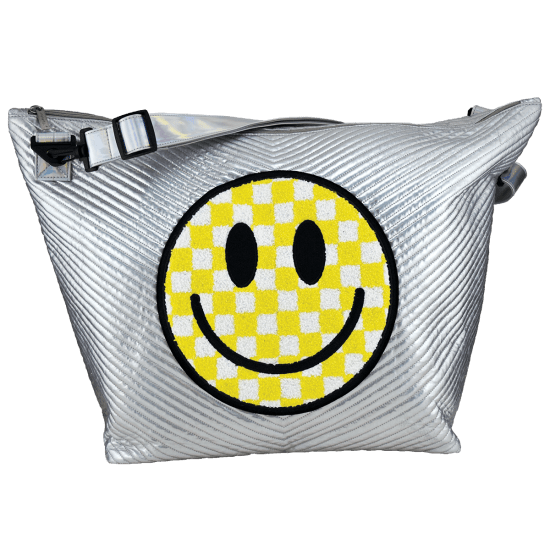 The perfect size to pack for a sleepover or weekend getaway, this bag is sure to become a favorite.